We wanted to show you just how much this product truly represents the concept of slow by highlighting some of its impeccable details. 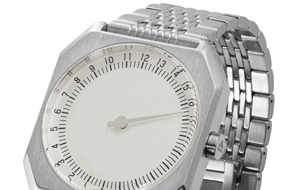 The core of the slow watch is the 24 hour one-hand concept. A 24 hour one-hand watch allows you to see the entire day in one view and experience time in natural way. This fundamentally changes the way you look at your watch and it will give you a much better consciousness about the progression of your day. 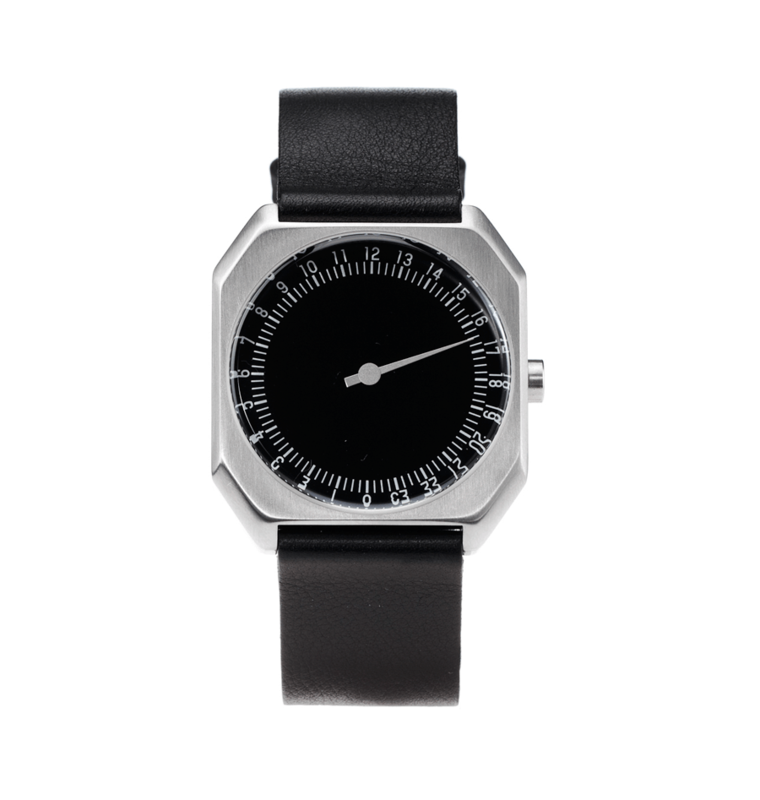 This way of showing the time is inspired by the original clocks that were based on the sun clock. Those early clocks indeed had only one hand and displayed all 24 hours. You can still see them on some old church towers. Only when people’s lives became busier and busier they felt a need to create this unnatural split of the day in two 12-hour halves and break each hour down in to 60 minutes. That’s when we started to chase the minutes and get stressed by time. As the watch has only one hand, this is pretty straight forward. Simply pull out the crown all the way until you feel the second click. Then turn the crown to adjust the time. Please don’t forget to push the crown back in all the way as otherwise water might leak into the case. During the first days it might feel a bit unusual to have only one hand indicating the time. But don’t worry, you will get used to it very quickly and start appreciating this much more natural way of showing the time. With only one glance at your watch, you will immediately get a good orientation of where you stand in your day. Taking a normal look, you will get a precise enough indication of the time. This beautiful object -made of durable 316L stainless steel- is certainly the highlight of this amazing product. It took our designers and engineers a heck of a lot of work to bring this pure shape alive. The result is an object that, seen from all angles, is perfectly symmetrical. For example, look at the case from the side and you will realize that the edges on the upper and lower parts have exactly the same proportions. To give the watch its distinct vintage look we used a raised, extra hardened (K1) mineral glass with antireflective coating. It gives you a crystal clear view on the dial and is extra resistant to scratches. In order to achieve a fully integrated case back, our engineers created a top loader construction. 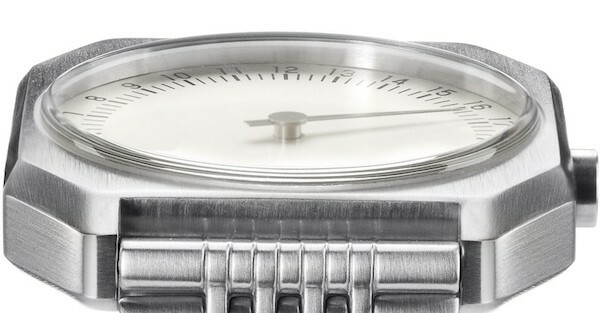 The result is this perfectly smooth back which is fixed with 8 screws to the case to ensure 100 meter water resistance. This is the only place where you can find the slow logo – precisely laser etched into the steel. 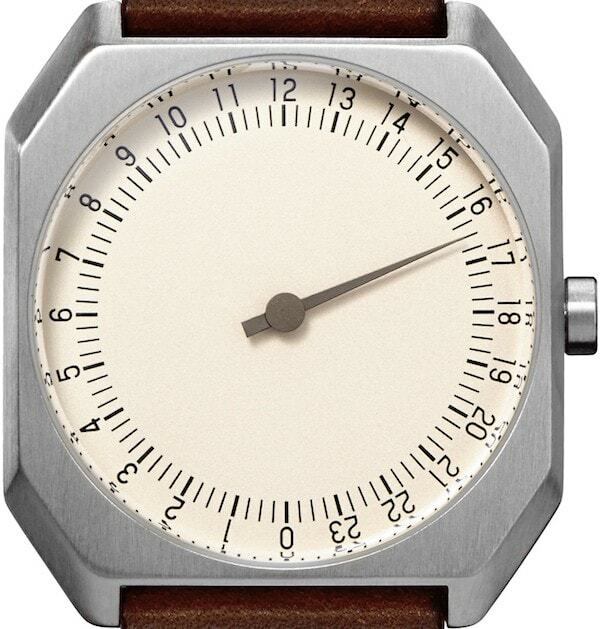 The slow watches are manufactured in Switzerland – the country where the art of watch making was invented. It is where true quality, artisan precision and attention to detail is achieved by doing things in a slow and thorough way. 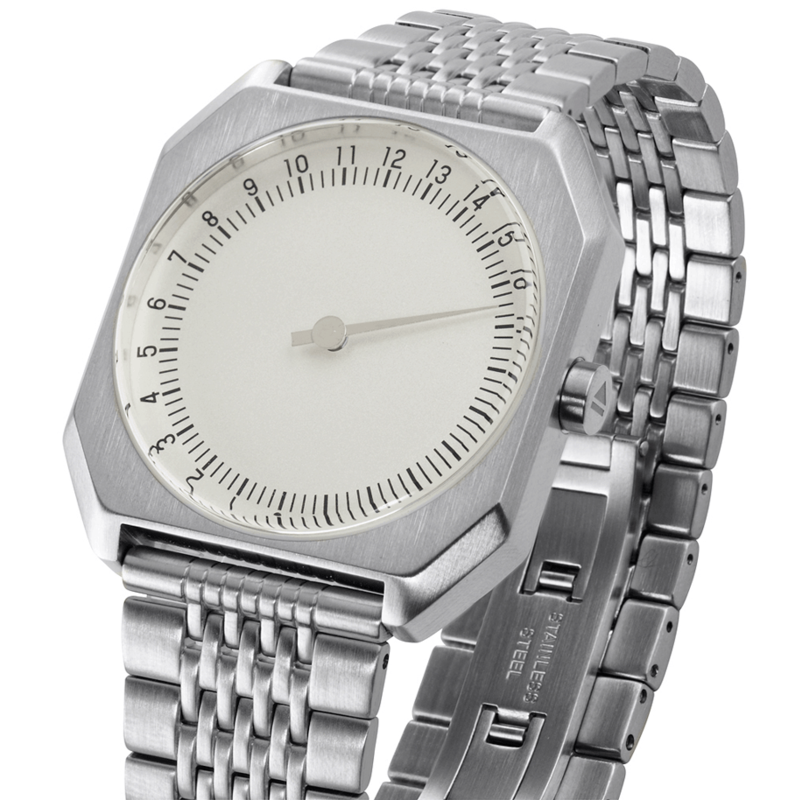 Therefore, we think Switzerland and slow watches are a great match! And it will ensure that you guys get the best possible product and are happy with it for a very long time. The metal bands are made of solid stainless steel with separate links that create this stunning vintage bracelet look. As we use a slightly thinner band than common the timepiece is not too heavy and very comfortable to wear, but still durable. It’s just right! The solid butterfly buckle opens by applying a bit of pressure so we don’t need an additional closure and can keep the back super clean. By the way: You can easily adjust the length of the band in every watch shop. The leather straps are manufactured in Italy and made of the finest calf leather. Unlike normal straps that have a lining and filling and other stuff, we simply use 2 pieces of this beautiful leather on top of each other which creates a much more raw and soft touch. You will love the feel on your wrist. To ensure you have the right expectation on the strap PLEASE CLICK HERE to watch a short video clip. The canvas strap version certainly has the most used and rugged look. The bleached surface and rough structure gives the watch a neat beach and outdoor feel. Like all slow watches, it comes with a special tool that makes it easy to change the band and comes with the unique slow octagon buckle. The nylon straps make the watch appear sporty and vintage at the same time; and they add a great army flavor to the watch. The strap passes through under the case and utilizes special pins that make the Nylon go in easily. The 3 metal loops are used to hold the end tip and to make this construction look incredible! Of course we didn’t stop creating extraordinary stuff when it comes to the packaging. The first thing you might notice is its symmetric shape of 10 x 10 x 10 cm – a perfect cube. Next you might realize how nice and soft the finishing is. You will recognize the stabil construction and high quality materials. After you took off the lid you will already see your new slow for the first time. The box has a second lid with an opening for the dial. That – by the way – lets you use the watch as a table clock in case you don’t wear it – which of course won’t happen very often anyways!